This International Women’s Day we want to find out more about women who were confronted with a man’s world, and explored it anyway. We’re shining a spotlight on our pick of some of our favourite female pilots and pioneers throughout travel history. Here’s our list of inspirational women who paved the way for sightseers, beach lovers and sun seekers today. Around the world in 80 days? 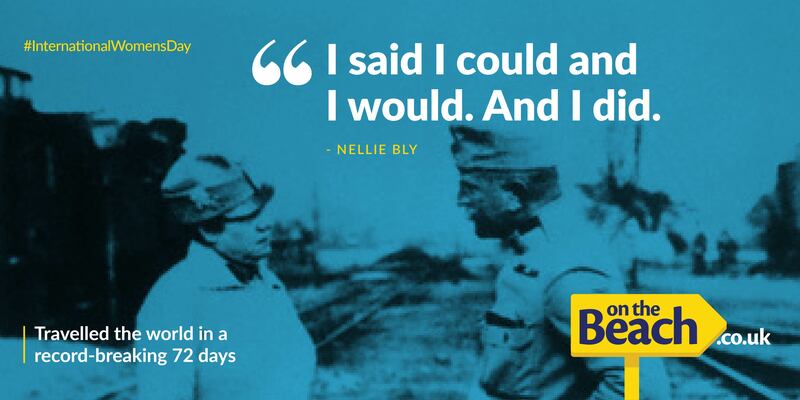 Nellie Bly did better, by completing a record-breaking journey around the globe in just 72 days. She reported on her solo travels for the New York World newspaper, and enjoyed a career as a celebrated journalist. Her childhood nickname, Pinky, proves you can be feminine and fierce at the same time. Defying 19th century expectations of women, Isabella Bird was an avid explorer, writer and photographer. Her wanderlust took her from England to America, Hawaii, India and beyond. 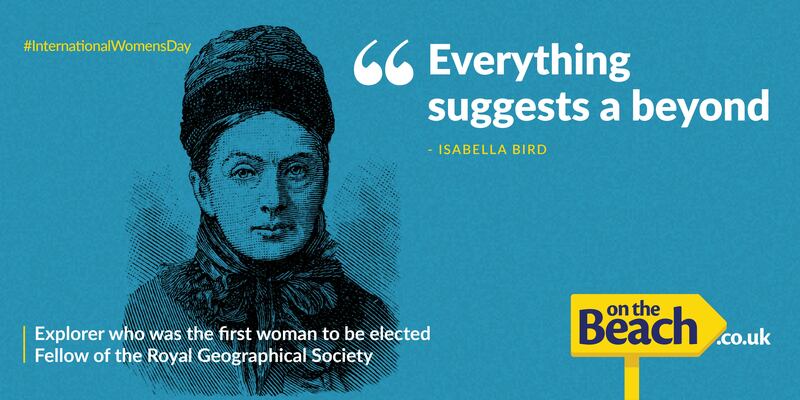 Later, she became the first female elected as a fellow of the Royal Geographical Society. Talk about mapping the way to equality! 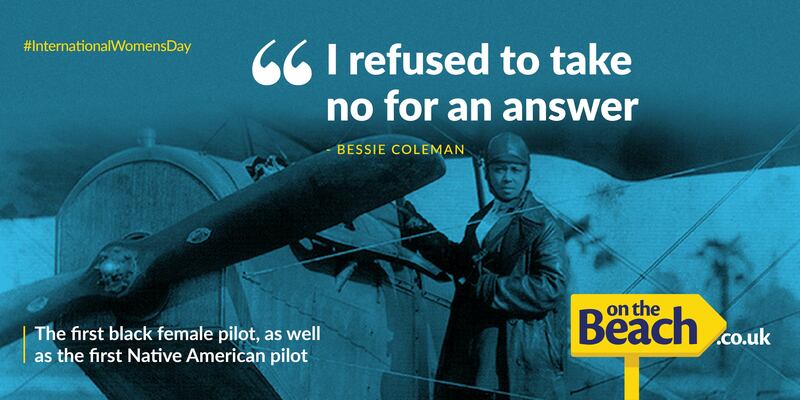 The first black female pilot, as well as the first Native American pilot, Bessie Coleman had to overcome both racism and sexism to earn her wings. She was unable to get her licence in America, but that didn’t stop her. She taught herself a new language, travelled to France and gained her pilot’s license. On returning to America, she became famous for her daredevil stunts – et voilà, the rest is history. 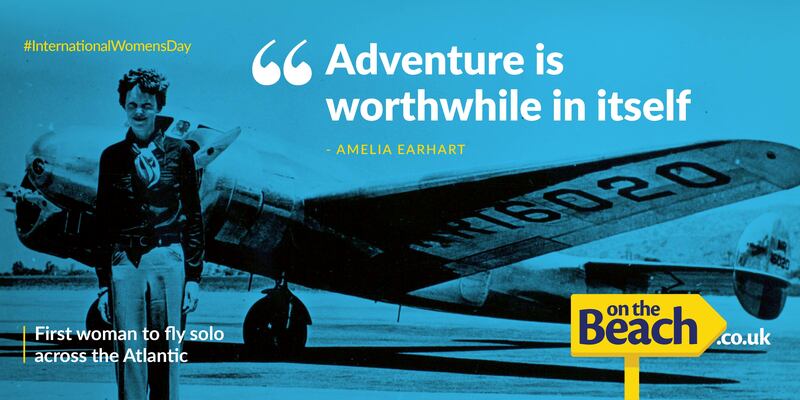 Amelia Earhart was the first woman to pilot a plane across the Atlantic Ocean solo, and the first person to ever fly from Hawaii to California alone. Famous for breaking records as well as gender norms, this aviator has even been the subject of comics and kids’ books that will inspire the next generation of determined women. Between 2015 and 2017, Cassandra De Pecol visited every sovereign state on the planet and broke two world records in the process: fastest visit to all 195 sovereign states and first woman to visit each one. She is an activist and public speaker who promotes peace through tourism. Although we’ve come so far, Cassandra’s adventures show that there’s always more to explore, regardless of gender.